This boat spent the first 10 years of her life in Sweden. She was purchased by the current owners in 2016 and prepared for an Atlantic crossing with new equipment including additional batteries and solar panels, new rib and outboard, running rigging, genoa and watermaker. The rig was surveyed in Stockholm in April 2017. Having completed the crossing in 2017 and a subsequent Caribbean cruising season it is time to sell the boat as the owners return to working life in Sweden. As you would expect from an owner with a mechanical and electrical background this boat is well stocked with spares and tools. She has never been chartered and light use during the short sailing season in Sweden has left her looking very good for a 2007 boat. 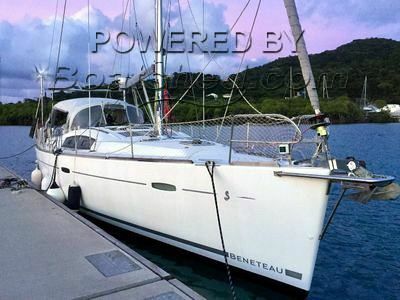 This Beneteau Oceanis 43 3 Cabin, 2 Heads has been personally photographed and viewed by Anita Sutton of Boatshed Grenada. Click here for contact details.